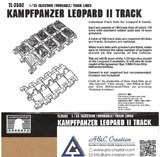 These tracks were originally designed and produced by Hong Kong Creation Workshop (HKCW) some years ago. They were also released by Elite Models and AFV Club under their own labels. All of these tracks are now out of production. Leopard Club has received a small batch for sale directly from HKCW. 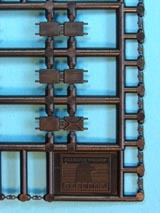 These tracks are something of a collector's item now, so I am sure that our stocks will not last long. Inside the strong cardboard box with a glossy print on the outside are ten sprues, beautifully moulded with no sink marks or ejector marks. 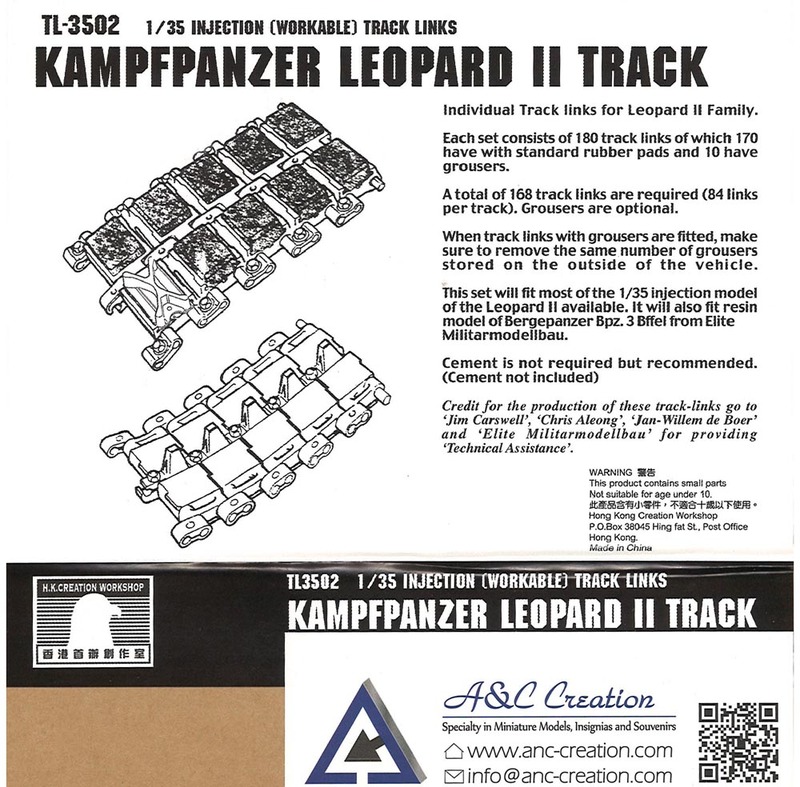 Each sprue has 12 pairs of shoes, one of which has an optional snow grouser on one shoe - not available on any other Leopard 2 track. 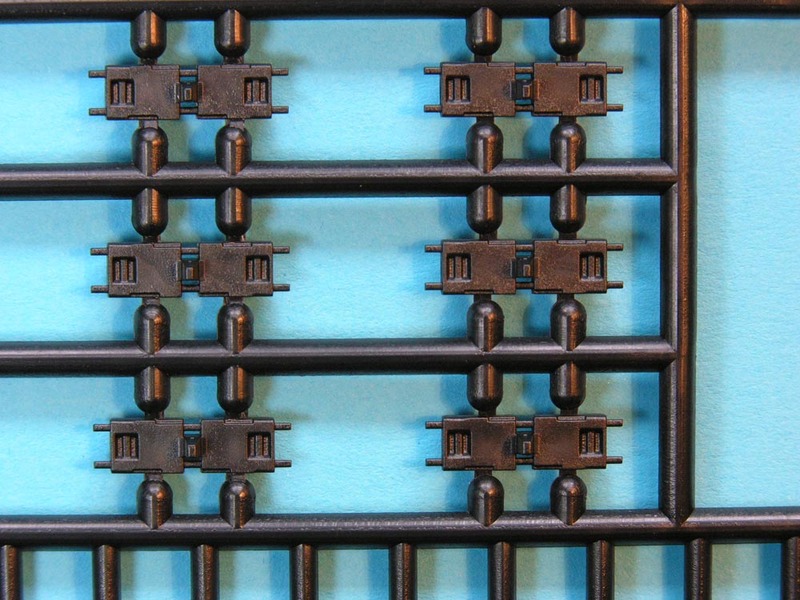 Also on each sprue are 36 end connectors and 18 centre connectors. This all adds up to 230 normal links plus 10 optional grouser-equipped links. The real machine has 164 links, so there are plenty of spares. 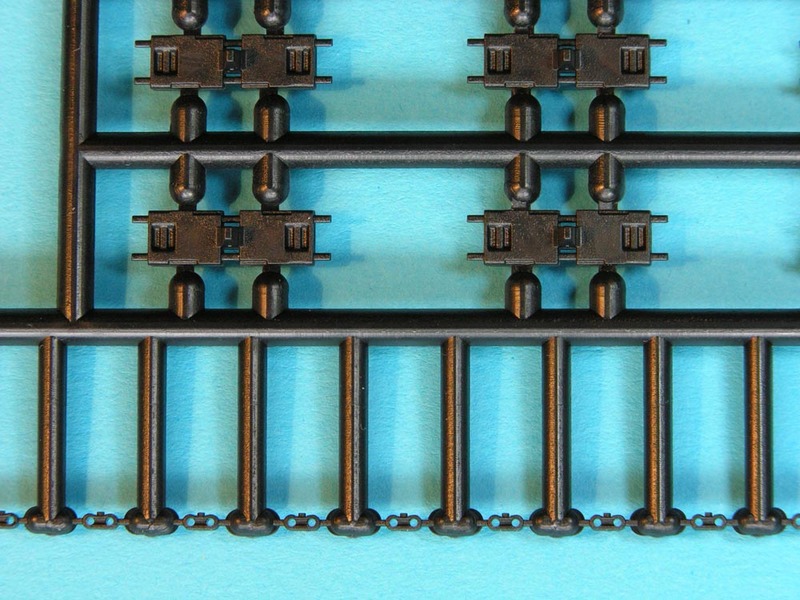 Each link is therefore made up from four parts - main shoe, 2 end connectors and a centre connector. 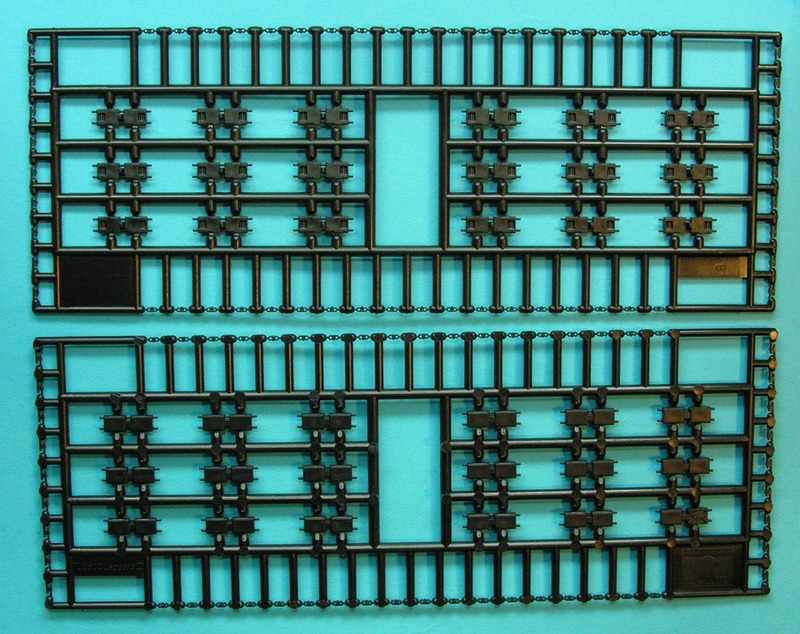 Two sets of these tracks should be enough for three models, especially if you do not build the upper track runs that are hidden by the skirts. There are no instructions but assembly is self-explanatory. The plastic is quite hard so close cutting when removing from the sprues will ease clean-up. 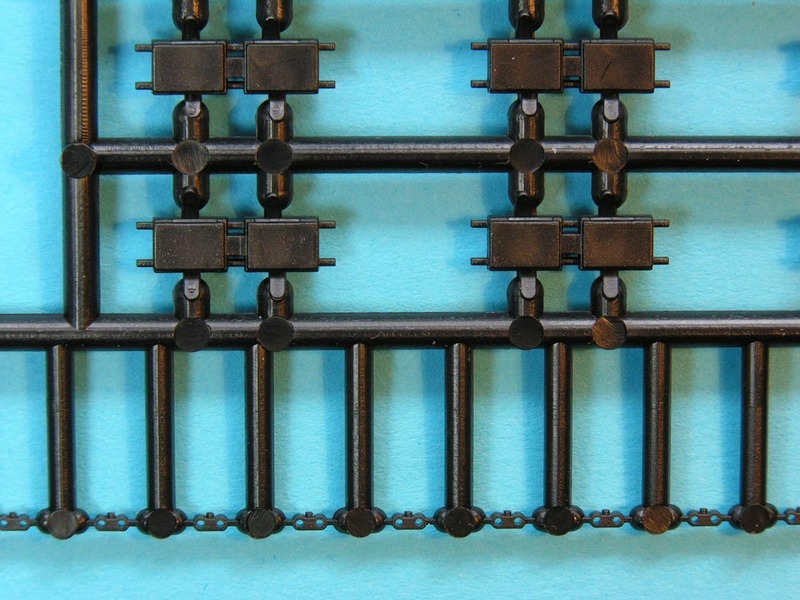 A very nice point with the end connectors is that the gap between the track-pin ends is represented nicely. Just make sure you install the end connectors the right way round - and with the bolts on the OUTSIDE.